On Jan. 24. Bellevue College welcomed Dr. Tyrone Bledsoe as keynote speaker of the celebration and remembrance of Dr. Martin Luther King Jr. Bledsoe met Dr. King in his youth and is an educator and civil rights activist who founded the Student African American Brotherhood, or SAAB. Martin Luther King Jr. is widely considered to be the most influential civil rights leader in American history. From leading marches through Birmingham to delivering his famous “I Have A Dream” speech on the steps of the Washington Memorial, his actions inspired people from all walks of life to seek equality for themselves and their fellow man. Though his life was cut short, his legacy lives on in the people who carry his dream forward. Bledsoe is a civil rights leader whose work is greatly inspired by Dr. King. 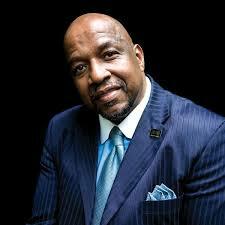 Bledsoe founded, and is the current CEO of SAAB, an organization founded to uplift and empower people of color. SAAB works to instill a sense of pride in people of color and “encourage the ‘greater’ in them.” While SAAB does focus on empowering minority groups, Dr. Bledsoe wanted to note that, “we give everybody love. Come join the group!” Bledsoe also spoke on how Dr. King influenced his own successes at helping disenfranchised youth reach their highest potential. The speech did not focus on the known history of Martin Luther King. Instead, Bledsoe focused on how Dr. King and his work for civil rights made a positive impact in his life, which led him down the path of youth leadership. Bledsoe talked about living in “the context of others” and living a positive life with those around you. He spoke of his recent personal triumphs and victories won in the lives of others. Stories about weight loss turned into lessons on dedication and willpower. The loss of his father led to the importance of living a life well-lived, caring for others without personal regrets. Not only did Bledsoe speak, he taught. While there were a handful of life lessons to learn in the hour Dr. Bledsoe spoke, there were important civil rights lessons to think about as well. Emmett Till’s murder happened only 30 minutes from Bledsoe’s home, and had a substantial effect on his childhood. His neighborhood came together in fear to ensure that children were protected from the police and angry white mobs. Advice from his parents and neighbors centered the safety of himself and his sibilings. Bledsoe and his brothers were told to never be caught alone and to hide from the police, even when they had done nothing wrong. When the school districts in his hometown integrated, fear was the prevailing emotion as soldiers and citizens stood opposite each other while children tried going to school. Bledsoe remembered how Dr. King escorted children into a school, so they were protected from threats made by white supremacist groups. These events stood as stark reminders of the work Dr. King did to fight for equality for all people, and the legacy that others carry on for him today. Bledsoe’s words have made a big impact since speaking at Bellevue College. Emmanuel Tshimanga, a BC student, said, “being a student of color and just seeing someone who looks like me standing there, inspiring and saving lives, gave me hope and also showed me that I can do it.” Emmanuel left the speech thinking about how he can make positive changes for others and his own life. Dr. King’s dream was one of love and equality between all, and Bledsoe is doing his best to further these ambitions and is an excellent representative of King’s ideals. Bellevue College was honored to have Dr. Bledsoe speak in celebration and remembrance of Martin Luther King Jr.